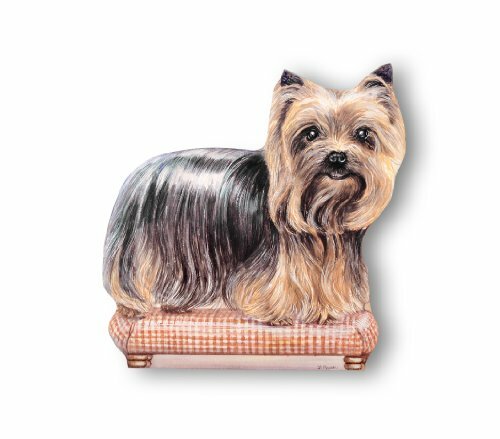 Selling strong for nearly a decade, pet lovers can't get enough of these functional yet decorative little doorstops. Mounted and die cut on on half inch thick MDF fiberboard, the piece features a triangular wedge on the back that can hold a door open or just allow the pet to sit there and be the talk of the room. Please note, our products are proudly made in the United States. Any products shipped from outside of the United States from a third party seller is likely a counterfeit product, and may result in an undesirable buying experience. For example, lower quality goods and longer ship times.